Police say the male suspect robbed the Fulton Bank on North Kings Highway at about 4 p.m. on Wednesday. 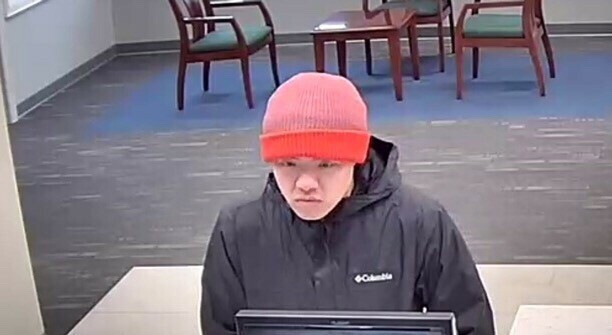 The Camden County Prosecutor’s Office and Cherry Hill Township Police Department are seeking the public’s assistance in identifying a man who robbed a bank on Wednesday, Jan. 31. The suspect entered the Fulton Bank located at 514 North Kings Highway in Cherry Hill at approximately 4 p.m. and passed a demand note to a teller. He received an undisclosed amount of cash and fled the scene. No weapon was displayed and no one was injured. The suspect is described as an man with an average build. He was wearing a dark colored ‘Columbia’ jacket, jeans and a red or orange beanie/toboggan style hat. Anyone with information is urged to contact Camden County Prosecutor’s Office Detective Marty Farrell at (856) 225–8424 or Cherry Hill Township Police Detective Tom Leone at (856) 665–1200. Information may also be emailed to ccpotips@ccprosecutor.org.